Chevrolet Camaro Paint Protection Film at Tint Magic Window Tinting. Nothing turns heads like a muscle car, and the Chevrolet Camaro is no exception—behold its striking coupe or convertible styling, rowdy exhaust note, and rubber-burning attitude. The LS and LT feature a 323-hp 3.6-liter V-6; the SS gets a 426-hp 6.2-liter V-8. A six-speed manual is standard on all; a six-speed auto is optional, but on the SS it gets just 400 hp. The 1LE option for SS coupes has unique gearing, suspension, and tires with the manual only. An all-new Camaro is due in late 2015. You’re proud of your vehicle. Now, protect it! 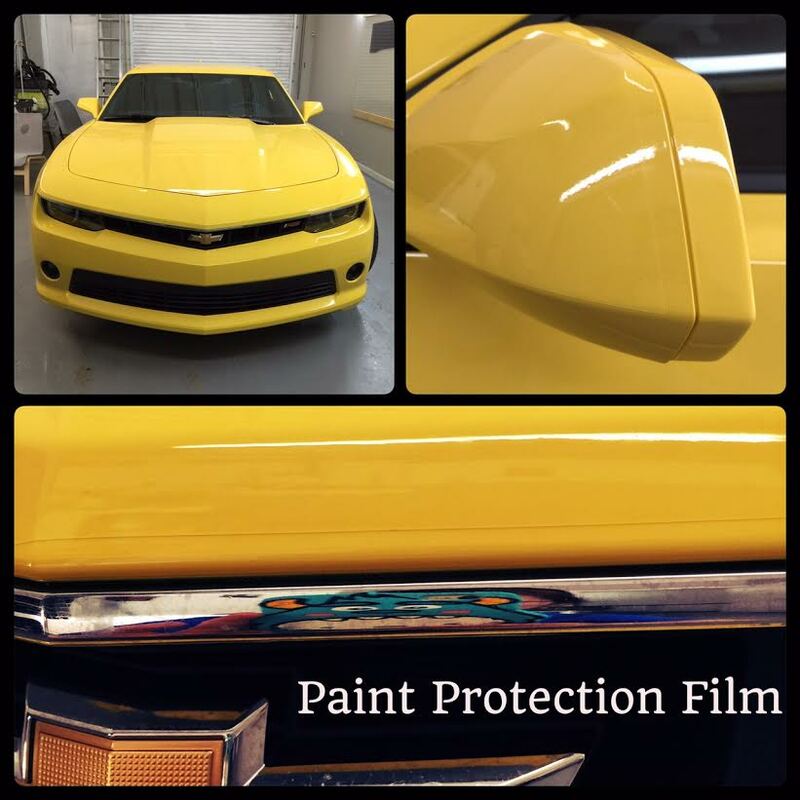 Chevrolet Camaro Paint Protection Film (PPF) is a durable, high-grade, colorless urethane film that is applied to the high-impact areas of your vehicle — hood, bumper, mirrors and door edges – that take the brunt of damaging road debris. This virtually invisible barrier against flying road debris, abrasion and weathering also resists yellowing in sunlight. At Tint Magic Window Tinting we use only Made in USA products with High Quality, we cut the Paint Protection Film and is installed the same day. Call us for a free quote! (954)840-7883. We are located a t 11344 Wiles Road Coral Springs Fl 33076. Tint Magic serving Coral Springs, Parkland, Tamarac,Coconut Creek, Sunrise, Weston and Margate.